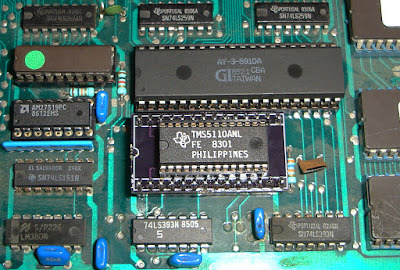 The TMS5110ANL sound chip was missing from one of my Bagman pcbs, I ordered a replacement from utsource but it didn't have a picture or any details. Once it arrived it turned out to be a shrink dip version which seems to be much easier to find than the standard dip version and cheaper too. It won't work in a Bagman pcb though, well not without a little help. 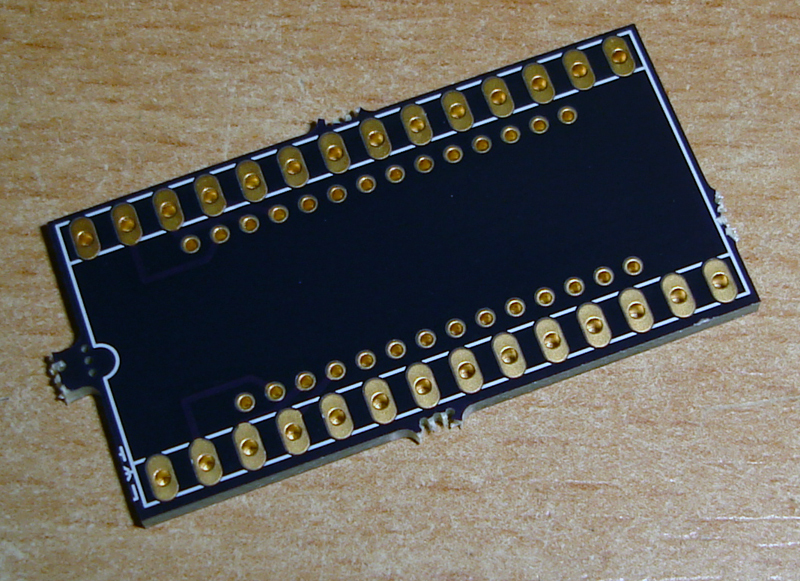 Instead of tracking down another one I made a very basic adapter in eagle and had oshpark make me some pcbs. I ordered some 28 pin sdip sockets from China, not really necessary but makes it easier to swap the chip out if it fails. Here it is installed in the Bagman pcb and now all speech is working. Like I said the design is extremely basic but if anyone else wants to have some made up you can order them here.